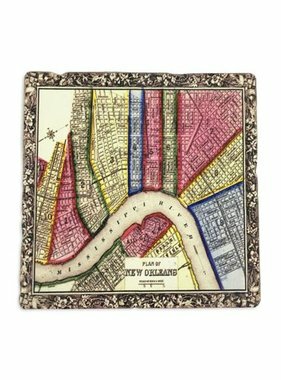 This Super Size coaster measures 6 inches and is great to turn upside down and place on a couch so that you can place bowls and glasses on the cork backing so they will not slide. 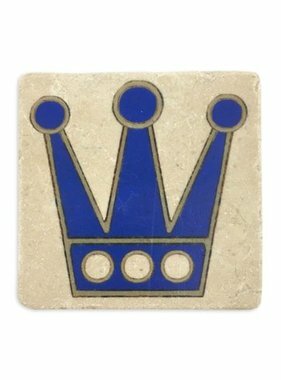 They can also withstand high temperatures and can be used as trivets. 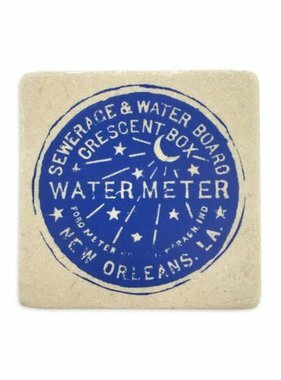 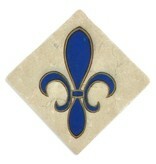 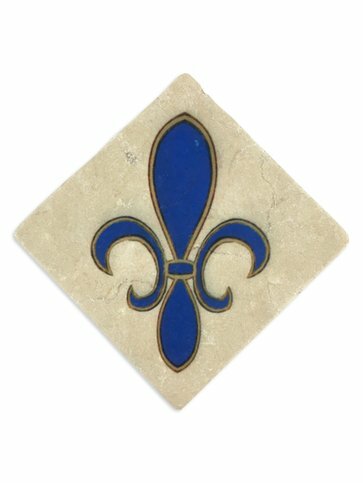 All of the stones are of the highest quality European Marble and are quarried in Southern Spain and hand-printed here in New Orleans.